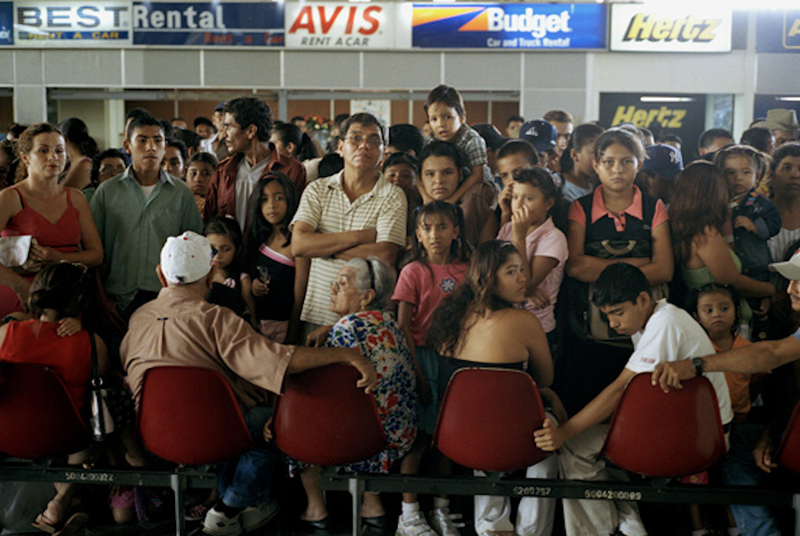 EL SALVADOR - In most of the countries that I’ve travelled to over the years there is always a similar scene at the arrival terminal after passing through customs and entering the country. Throngs of people often wait for hours for the arrival of family members, lovers, friends, business associates, etc., and there is always vibe of expectation and anticipation in the air. I love these scenes and often fantasized being greeted by some of these people upon my arrival at a remote destination. The family in the middle of this crowd at Aeropuerto Internacional El Salvador are perfect candidates for my imagination.